Sleep is an essential part of life, but it’s something that many of us struggle to get the right amount of. No app can magically send you to sleep, but we’ve found some great solutions for helping you analyze and track your sleeping patterns. After all, knowledge is power, right? 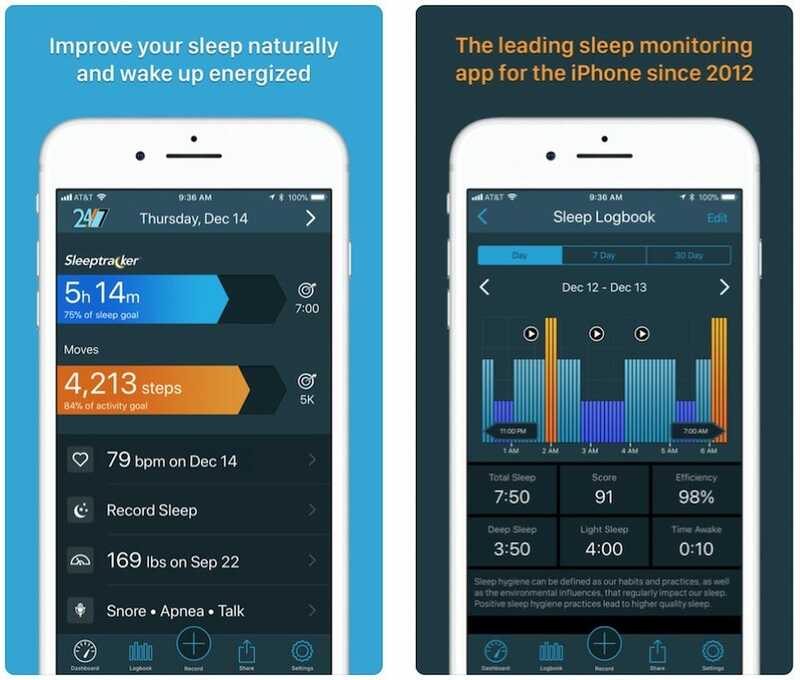 These iOS apps will show you exactly when you’re getting the most deep sleep, will help you wake up at the best time in the morning, and will even detect when you snore. Many also work in conjunction with your Apple Watch to provide the best experience. Like any health tracking apps, successful results may vary, but it’s a useful way to gain some insight into what’s going on at night. 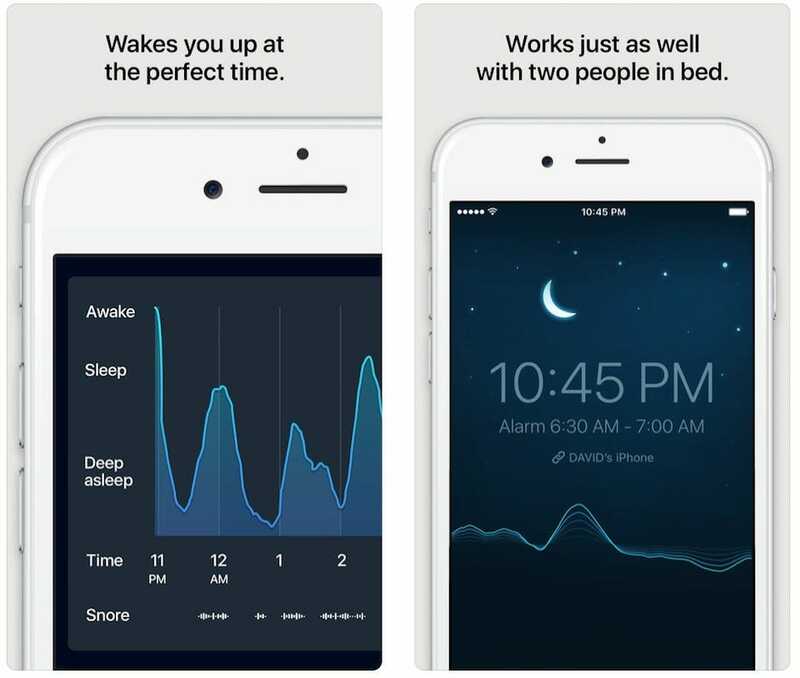 Here are our 6 six favorite iOS apps for tracking sleep. Sleep Cycle is one of the best known names in the sleep tracking business. That’s because it’s pretty effective when it comes to analyzing your sleep. 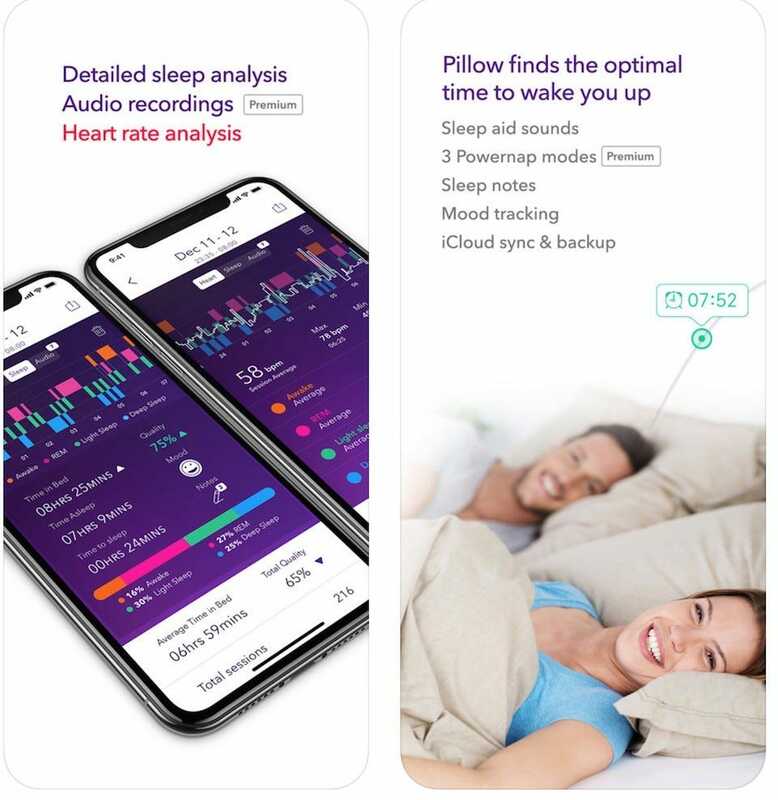 Once dependent on being placed in your bed overnight to detect movement, the app now monitors your sleep via sound analysis, pinpointing the different phases of sleep you go through. Plenty of scientific evidence has determined that the phase of sleep you wake up during determines how well rested you feel. Sleep Cycle taps into that, waking you up near your designated alarm time while still being in the lightest sleep phase. Once awake, you’re provided with plenty of statistics on how you slept, as well as whether (and when) you snored. The core functionality is free, but there’s a premium version that’ll run you $30 per year. It offers long term trends, online backup, as well as heart rate monitoring and Philips Hue light bulb support. Pillow tackles sleep tracking from a different angle than Sleep Cycle. Most significantly, there’s Apple Watch support, which provides you with a way of tracking your heart rate via your wrist. The next morning, you can easily consult it for a report on how you slept the previous night. The app also integrates with Apple Health, thereby storing all relevant data together. Its sleep analysis algorithm figures out the best time to wake you up, depending on what stage of sleep you’re currently enjoying. It’ll also detect if you’re just taking a nap. Additionally qualitative data in the form of notes and mood tracking offer extra insight for those extra concerned about their sleeping habits. Much like Sleep Cycle, there’s an in-app purchase involved to get the full wealth of features, but it’s only a one off fee of $5. The premium version provides sound recordings of your sleep (including snores). It also includes personalized recommendations on how to sleep better, with regular updates keeping you abreast on the latest scientific research regarding sleep. 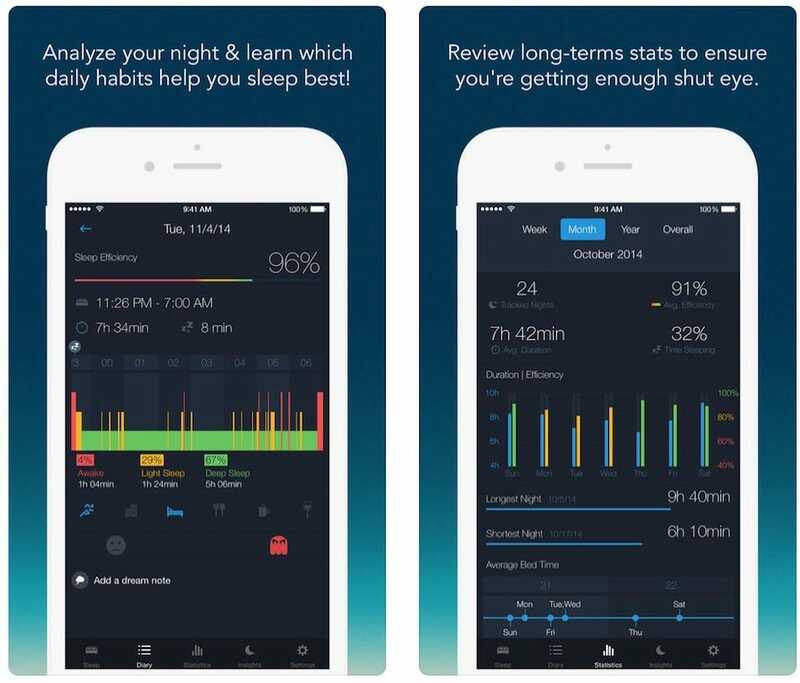 Sleep Better does a lot of what other sleep tracking apps do. Place it on your bed, and it’ll track how well you’ve slept, the different sleep cycles you’ve experienced, and how efficiently you snoozed. There’s a smart alarm function, ensuring this information is used wisely to wake you up at a key time. So, what does Sleep Better do that others don’t? Quite a lot. Enter your daily habits and variables, such as how much caffeine you’ve consumed or how stressed you are, and Sleep Better helps you figure out the connection. 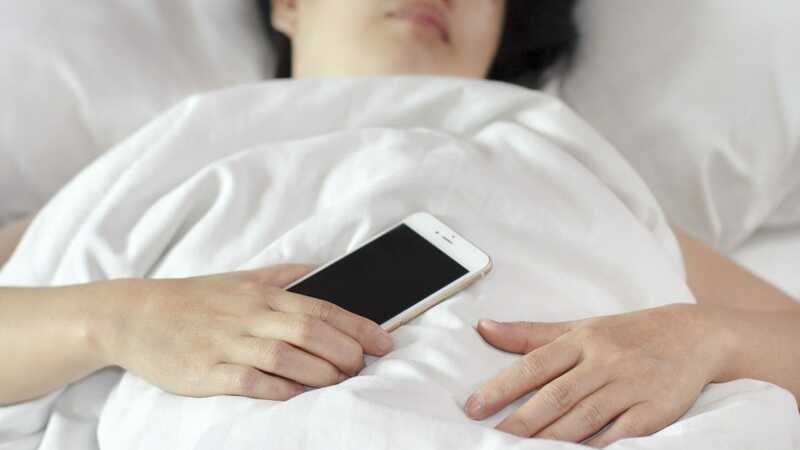 Alcohol consumption and caffeine all play a role in how well we sleep, and this is the app for highlighting just what they can do. 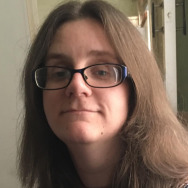 There’s a section for writing about your dreams too, which can be useful if you’re trying to relate your dreams to, say, alcohol consumption or stress levels. The theme of holistic and spiritual approach sleep continues with information on moon phases too, if you’re curious if that has any effect on your sleep. A $2 in-app purchase unlocks extra features, such as a choice of alarm sounds, and an extended history search function. As the name suggests, AutoSleep Tracker for Watch requires you to have an Apple Watch to get the most from it. Fortunately, you don’t need to install the app on your Watch as well as your iPhone. It works pretty much independently of you with next to no input needed—AutoSleep automatically tracks your time asleep, depicting it as a ring that’s distinctly reminiscent of the Apple Watch’s activity ring. It also works if your Apple Watch is left on charge overnight, but it only tracks how long you’ve slept for. Instead it’s much better to keep the device on your wrist overnight, and let AutoSleep analyze everything about your sleep. Once you wake up, you can add emojis to highlight how you felt overnight, as well as add more detailed notes. It’s perfect way to easily track your sleep cycle and mood with very little effort beyond remembering to keep your watch on. Available on the App Store since 2012, Sleeptracker 24/7 is a popular (and enduring) sleep monitoring app. Their big selling point is the promise that the app is within 90% accuracy of professional sleep monitors typically used in sleep clinics. It records snore sounds, sleep apnea, as well as sleep talking. Besides that, it measures your resting heart rate in less than 10 seconds via the iPhone camera, and it tracks your daily activity levels. You name it, and Sleeptracker 24/7 does it. By being so extensive in its approach to sleep tracking, it can offer insights into trends and correlations in your sleep, weight, and activity levels. When you’re aiming for higher quality sleep, it’s important to factor in things that happen outside the bedroom and Sleeptracker 24/7 shines here. A series of 24 white noise sounds endeavor to help you sleep too, plus there’s an intelligent alarm clock that wakes you up at the best time. In a similar vein to AutoTracker, Sleep Tracker: by Sleepmatic focuses on turning your Apple Watch into a sleep monitoring device. 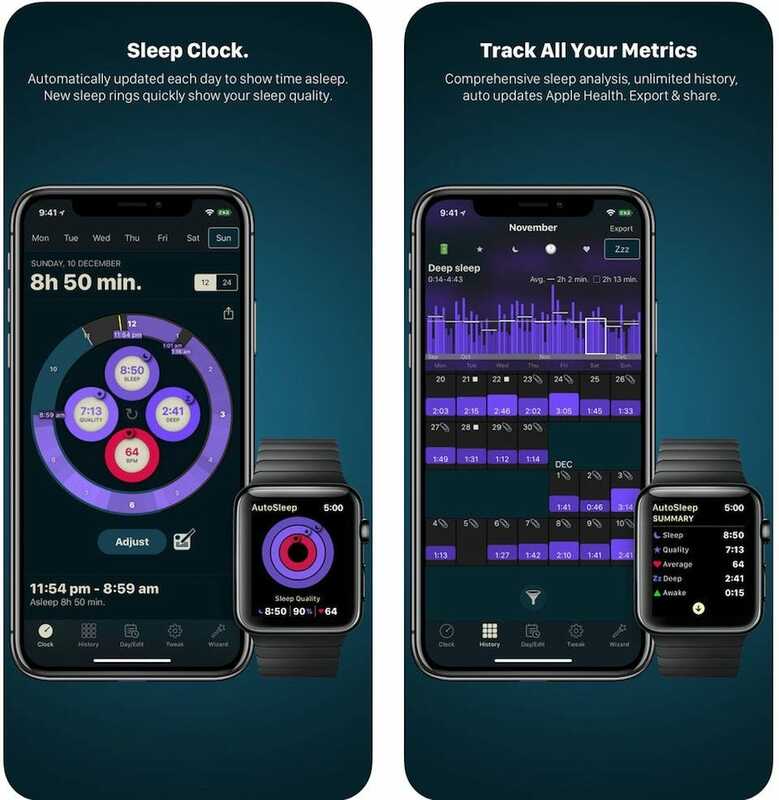 The app automatically logs your sleeping patterns and naps, without you having to do anything more than to remember to wear your Apple Watch at night. It’s possible to tweak the detection sensitivity, so it’s ideal if (like me), you toss and turn a lot in your sleep. You can add notes and even hashtags to each night’s sleep, so you can check out what’s going on quickly. 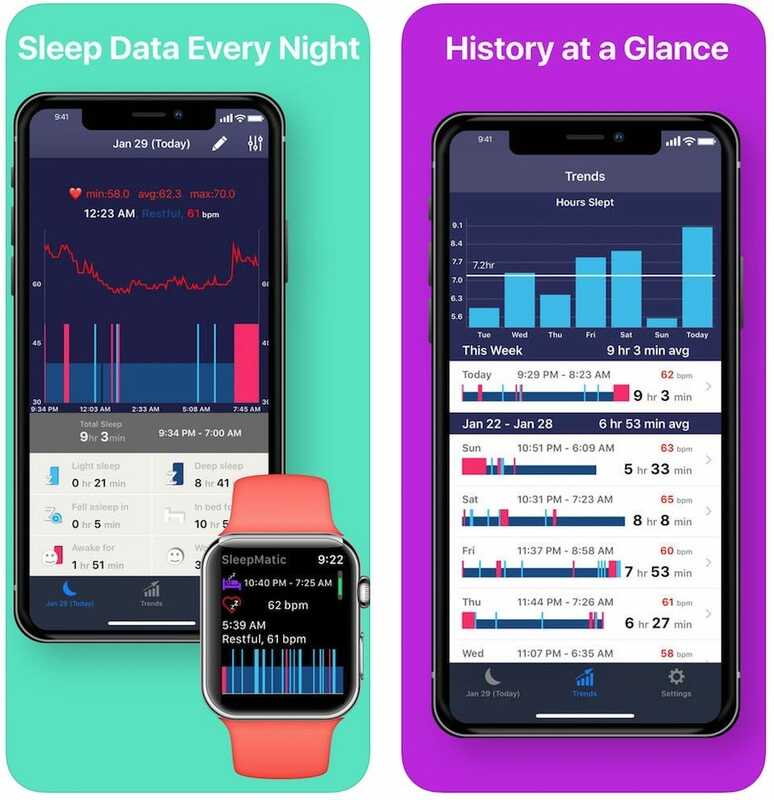 The information and statistics also integrate with HealthKit so all your health and fitness data can be stored safely in one place. With no subscription required, Sleep Tracker is one of the cheapest ways of keeping an eye on your sleeping habits, with history viewable for months into the past. Fitness wearables are hugely popular when it comes to tracking every step you take, but when it comes to monitoring your weight you need a good smart scale. Here’s our top picks for every budget.